Kevin Gunther (center) is flanked by his two sons, Scott (left) and James (right). The score still sticks with Jeff Markoff – 21-20. 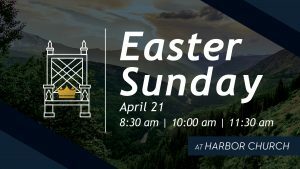 Markoff was a 1985 Olympia High School graduate and was an all-state defensive lineman for a Bears squad that won the 3A state championship during his senior year. Olympia opened the playoffs that year on the road by shutting out Kelso, the defending state champions, 20-0. The Bears parlayed that success to the quarterfinals where they were once again the visitors, traveling to Stanwood. The result would be almost identical against Burlington-Edison as they blanked the Tigers, 14-0, to advance to the state semifinals for the first time since 1981. Olympia High School football coach Jeff Markoff (left) with son Clay Markoff (right) will fight for bragging rights against Capital High School during the annual Spaghetti Bowl. O’Dea would be the first playoff team to find the end zone against Markoff and Olympia’s stingy defense, but it didn’t matter as the Bears bested the Irish, 21-7, in the Tacoma Dome nearly 31 years ago. The crowning achievement came the following week with a 28-14 victory over West Valley of Spokane in the state championship. The Bears marched off the Kingdome turf with their newly earned trophy in tow. It was a fitting end to a spectacular 12-1 season. It’s the 1 loss in the 12-1 season that still remains present in Markoff. And if you were to ask any other player on that year’s Olympia team you would probably get that same reaction. Olympia’s lone blemish that season was to the Cougars, 21-20, in a game that ultimately determined the Black Hills League champion. Great rivalries have that lasting effect on those involved. The Capital/Olympia football rivalry may not be the oldest around, but there’s been plenty of history packed into its 38-year existence. The latest chapter will be written on Friday, Sept. 11 when the two teams meet in the annual Spaghetti Bowl. 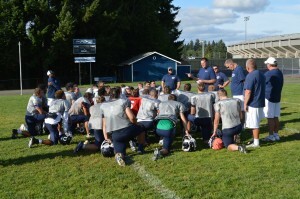 Olympia head football coach Bill Beattie address his team following a practice. While the Markoff and 1984 state championship team dropped its match to the Cougars, Gunther went a perfect 3-0 against the cross-town foes. Both, however, have invested interest in this year’s battle. In addition to coaching, both Markoff and Gunther will watch sons play in their last Spaghetti Bowl. 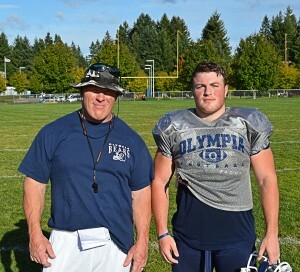 Markoff’s son Clay will start for the Bears at middle linebacker and fullback, while Gunther’s son James is a starting offensive lineman for Olympia. Gunther’s other son, Scott, will also see plenty of action. The junior is Olympia’s starting running back and is coming off a two touchdown performance in the Bears’ 42-0 drubbing of Ferris in week one. 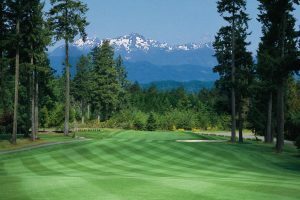 One aspect the sons will experience that their fathers did not is the traditional spaghetti feed between to the two schools, which started in 1993 by the Rotary Club of Olympia and West Olympia Rotary Club. The winner of the game gets to house the Spaghetti Bowl trophy for a year – something Gunther didn’t even know about during his high school playing days. Capital, which lost 22-21 to West Valley (Spokane) in the 1984 state semifinals, halting what could have been an all-city state championship game, knocked off the Bears last year, 17-7, and hold a 21-17 all-time series lead. The two teams have alternated victories the last six years with neither squad posting consecutive wins in the series since the Bears won five straight between 2005 and 2009, and even though the game has been a non-league affair since 2006, expect Ingersoll Stadium to once again be standing room only.